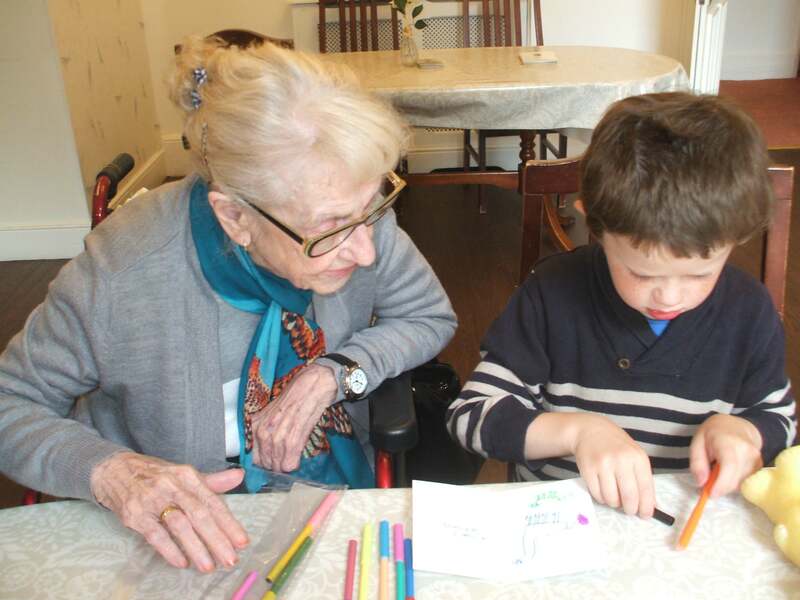 Many of our residents love spending time with young people – drawing, colouring, playing dominoes, etc . 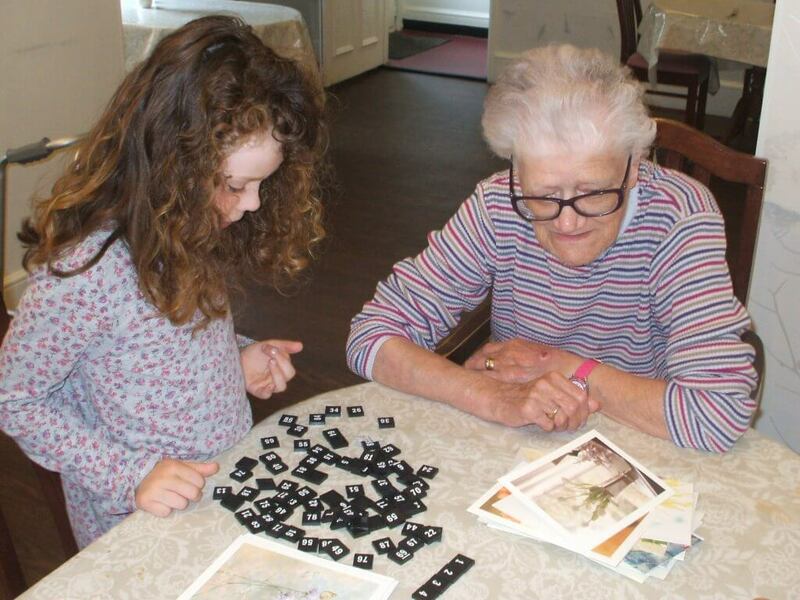 We can really see the benefits of intergenerational learning at work – learning with each other and from one another. 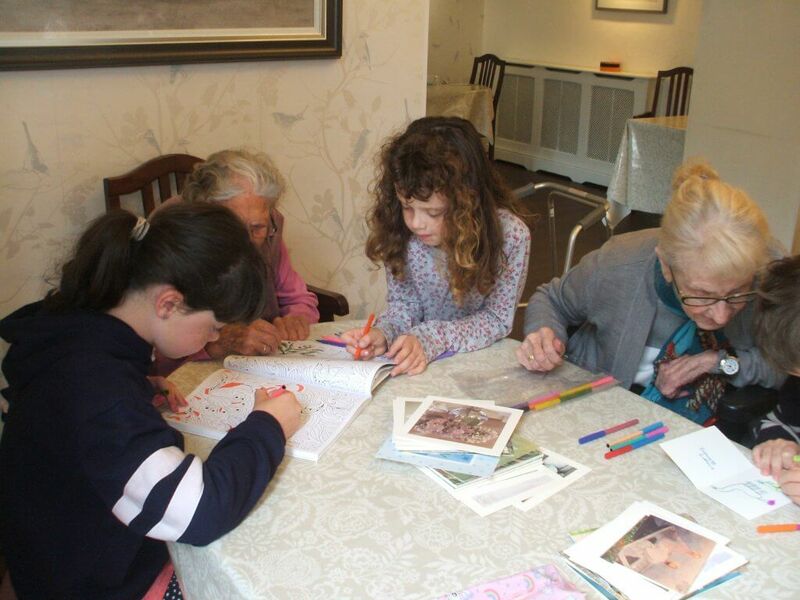 You are never too old to enjoy colouring in! 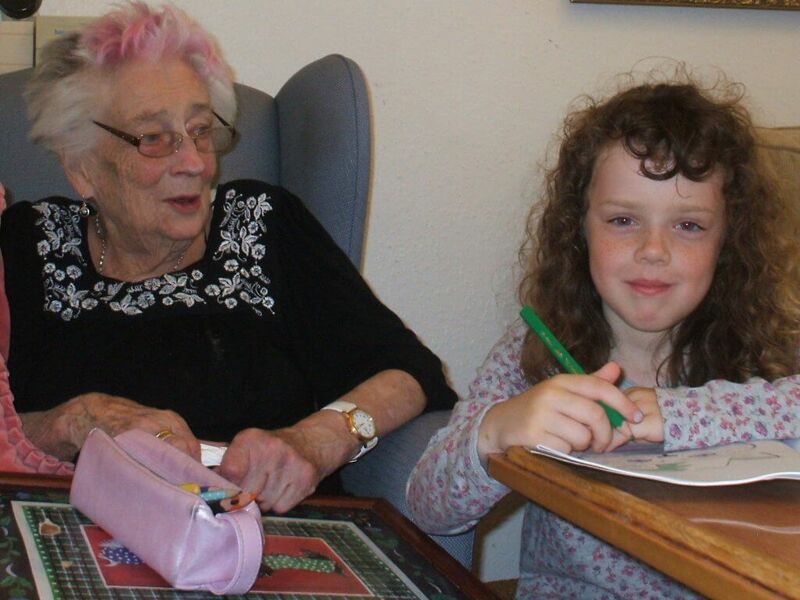 At St Petrocs, our home in Bodmin, one of our care team members occasionally brings her children into work, where they enjoy mixing with the residents and engaging them in a variety of activties. 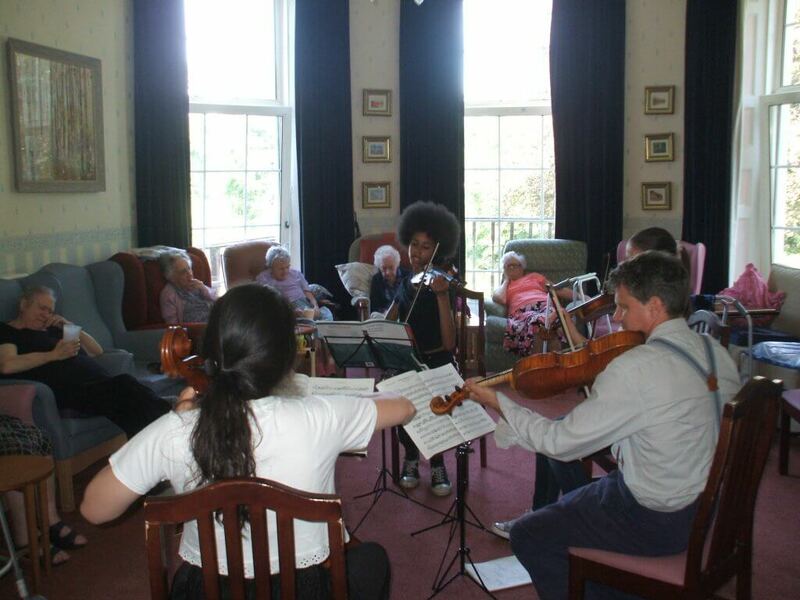 This is particularly special for those residents whose own families live far away, and who don’t get to spend as much quality time with their grandchildren as perhaps they would like. This is something that Stonehaven homes actively encourage. At Cross Park House in Brixham we have teamed up with local child minders who will bring their young people into the home once a week for fun, play, singing and movement. Research shows that when planned effectively, formal programs that promote connectedness between young and old have proven benefits not just for the children and older adults participating but more widely, for the communities involved. 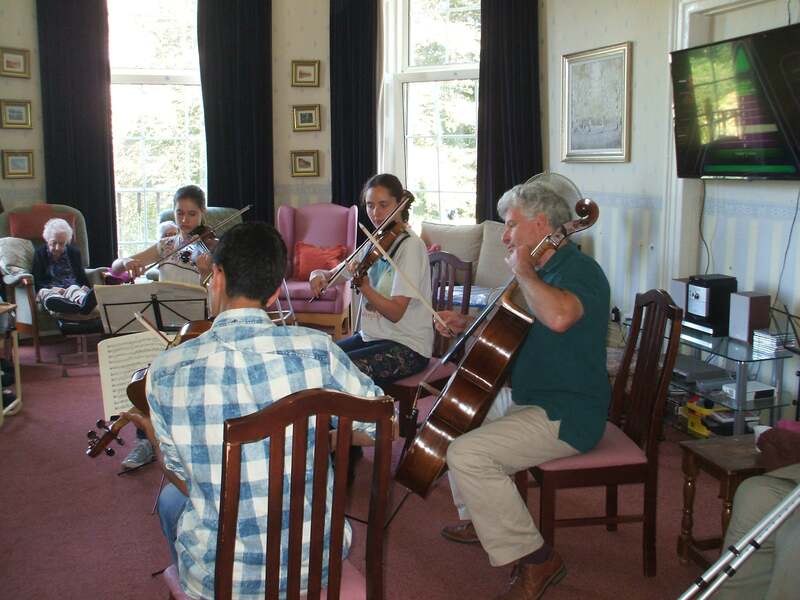 A Group of very talented 14-18 year olds from Music Works, a Chamber Music Group were touring Cornwall and offered St Petrocs a free concert. 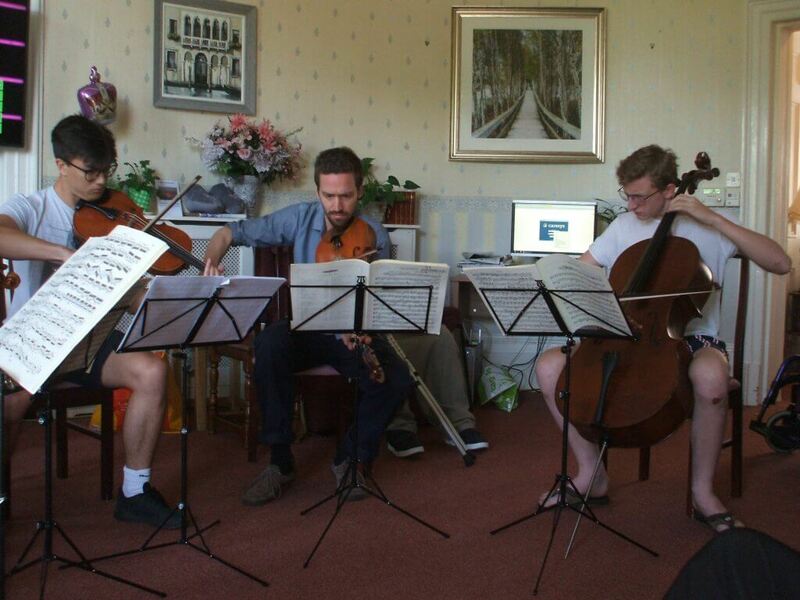 The quartets performed various repertoire of classical music, which was enjoyed by the Residents, they loved it! I am not sure how they stumbled across St Petrocs, it was a telephone call that came out of nowhere – but we were so glad they found us!! 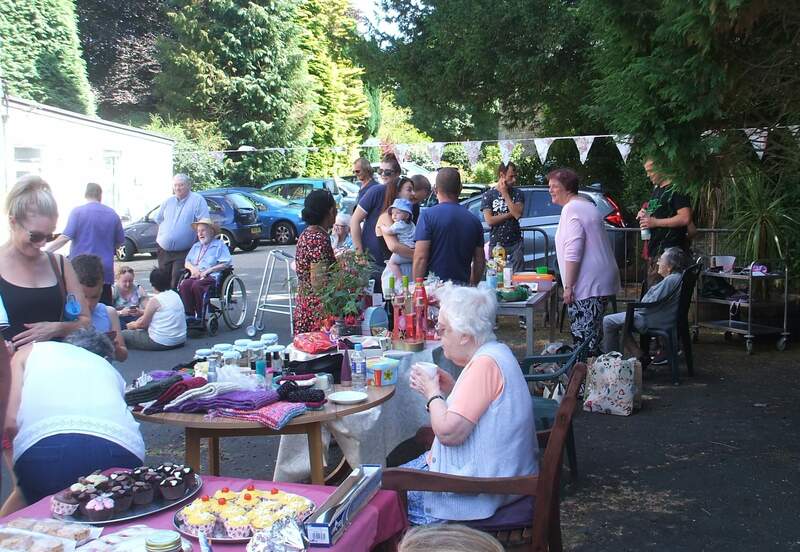 The St Petrocs Summer Fayre was a great family afternoon, with cakes aplenty, and raised £220.74 for charity. 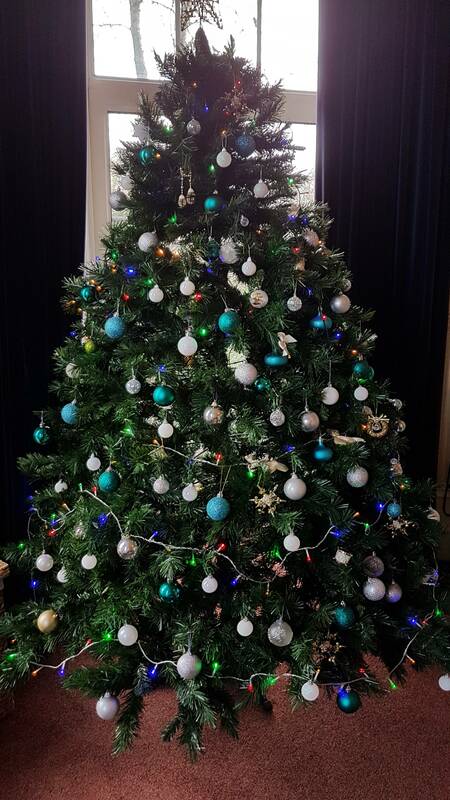 The first tree to go up at St Petrocs in Bodmin….. 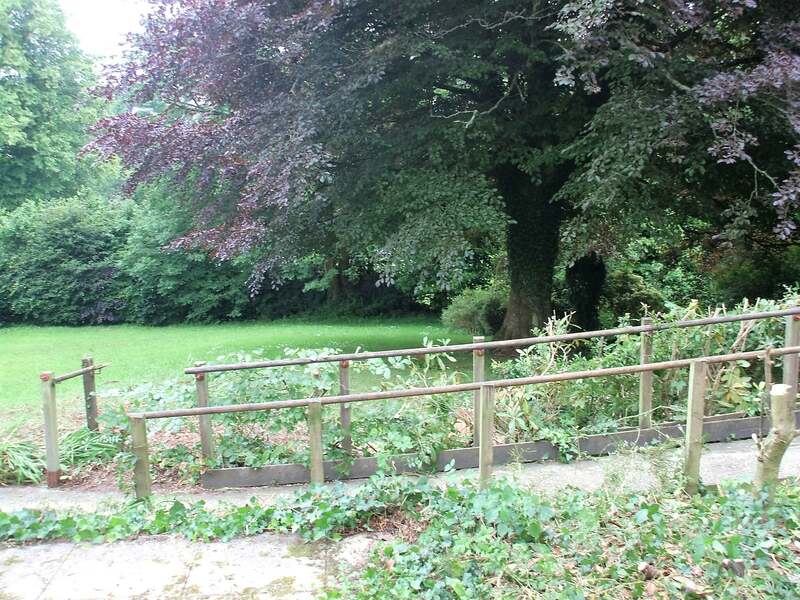 The gardeners have been at St Petrocs in Bodmin this week, clearing the space outside the resident’s lounge. It has opened up the view of the garden and provided a large area for future development. We look forward to seeing the ‘after’ photos.